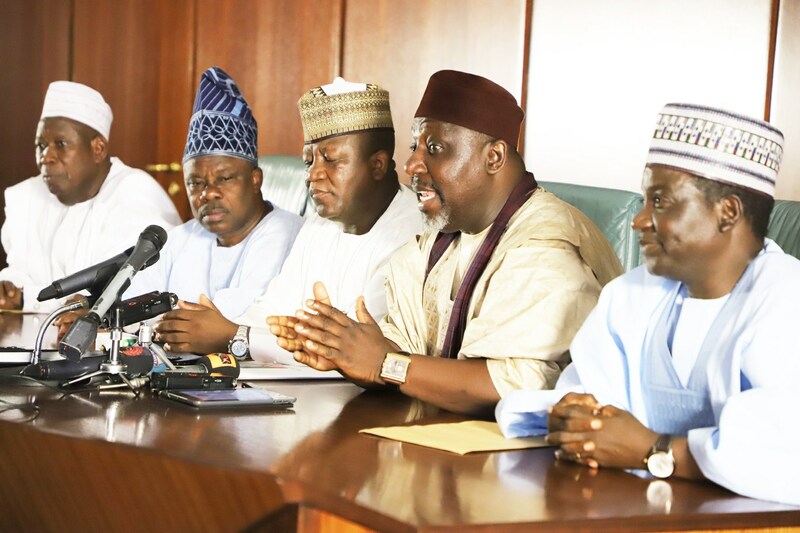 Some of the aggrieved governors include Rochas Okorocha (Imo), Ibikunle Amosun (Ogun), Abdulaziz Yari Abubakar (Zamfara) and Rotimi Akeredolu (Ondo). As date for final substitution of candidates to the Independent National Electoral Commission (INEC) by political parties inches closer, there is more headaches for the governing All Progressives Congress (APC) as some aggrieved members embroiled in the controversy over recent primaries have begun moves to defect en mass. Aside those who plotting to defect, some, especially aggrieved governors have perfected plans to work against APC’s interest in some positions during election. But the National Publicity Secretary of the party, Mallam Lanre Issa-Onilu, said the aggrieved members, having invested so much in APC would not want to leave for any other platform. He said the party is working to address every concern and misgiving over the primaries. The national leadership of the party has been in a dug-out with some Governors and stalwarts over the outcome of the party’s recent primaries. Some of the aggrieved governors include Rochas Okorocha (Imo), Ibikunle Amosun (Ogun), Abdulaziz Yari Abubakar (Zamfara) and Rotimi Akeredolu (Ondo). The Director General of Voice of Nigeria (VON) and senatorial aspirant, Osita Okechukwu has publicly flayed the leadership of the party over the issue. Wife of the President, Aisha Buhari equally launched a verbal attack on the party hierarchy over the outcome of the governorship primaries in Adamawa accusing the leadership of compromising on standard. President Muhammadu Buhari, few days ago, met with aggrieved members and pleaded with them to sheath their swords and work for APC’s victory in 2019. However, the pleas seemed not to have assuaged some aggrieved members as a top member of the party disclosed that the leadership of a APC is aware that some governors were bent on sabotaging the party in 2019. Apart from the governors, he claimed that some National Assembly members who could not secure tickets may be working to defect en mass from the party anytime soon. “They are working with some elements outside the party to sabotage us. We are aware that they have alternative candidates in other parties . They have vowed to work against candidates of the party in their domain . But Issa-Onilu said it would be difficult for the people touted to be harbouring plans to dump the party to do so because of their level of investment in the party. “I strongly believe that there is no iota of truth in the speculations. We have noticed that the media are plotting to set agenda for crisis in APC. It is up to us to follow that trajectory or not. “The issues are very clear; as leaders of the party, we are not going to engage them trying to circumvent them. We have absolute confidence that they are still committed leaders of this party and they will not do anything that will jeopardise the interest of the party and the country.